42-mm case of the novelty is covered with black PVD coating. The watch dial is also black, decorated with Arabic time indexes covered with luminescent coating. 30-minute counter is located at the top of the dial, the 12-hour counter is located at 6 o’clock position, and the small second’s dial is located at 9 o’clock position, the aperture of the date - at the 3 o’clock position. 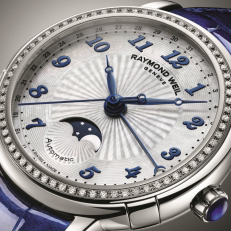 The basis of the watch is RW5000, based on 25 jewels and a power reserve of 46 hours. The watch is presented with a natural calf leather strap with anthracite lining. To buy the watch will be available through the authorized representatives of the company. 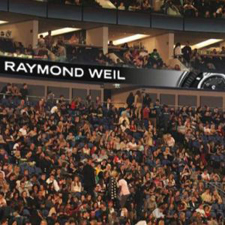 Official website of Raymond Weil watches. The SSE Hydro hall for musical events in Glasgow was opened in September 30 by a concert of the famous musician Rod Stewart.